Right-click on your desktop and choose Display settings. This is the same as Notification Center / Action Center icon > All settings > System > Display. 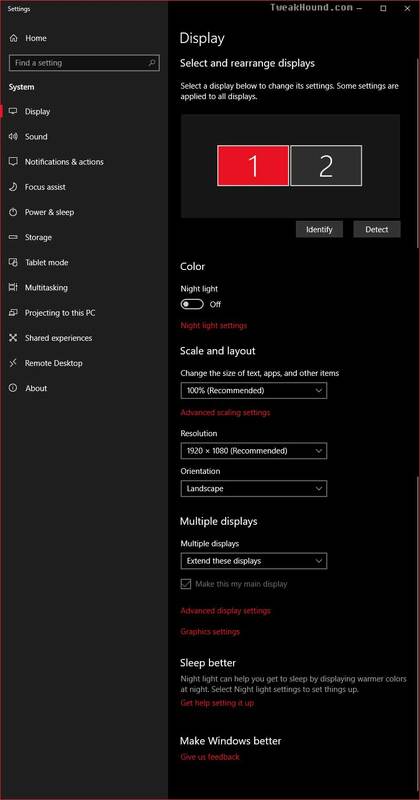 Here you can change scaling, resolution, multiple displays, etc. Right-click on your desktop and choose Personalize. This is the same as Notification Center / Action Center icon > All settings > Personalization. 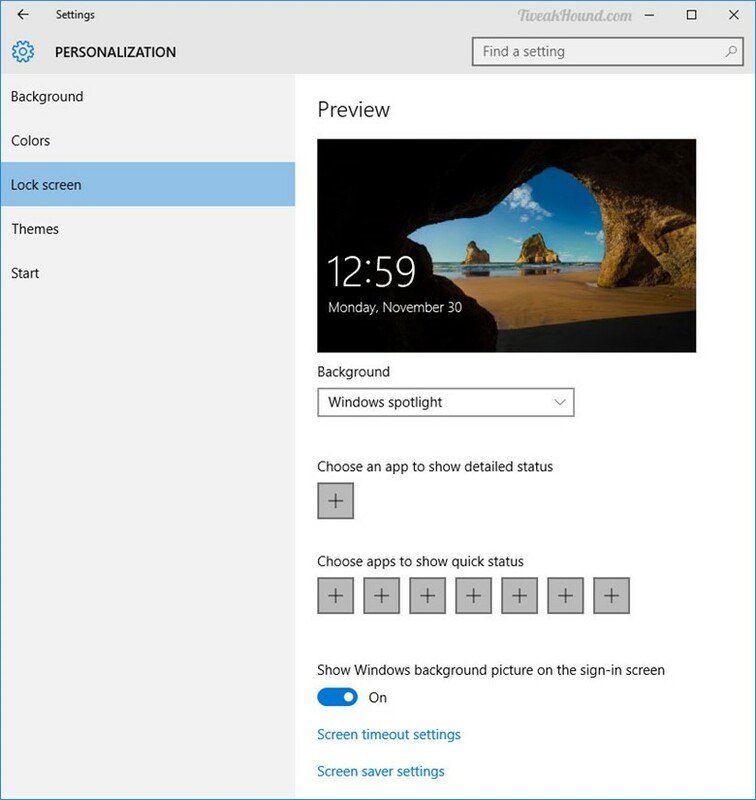 Lock screen settings as well as Screen timeout and screensaver adjustments. 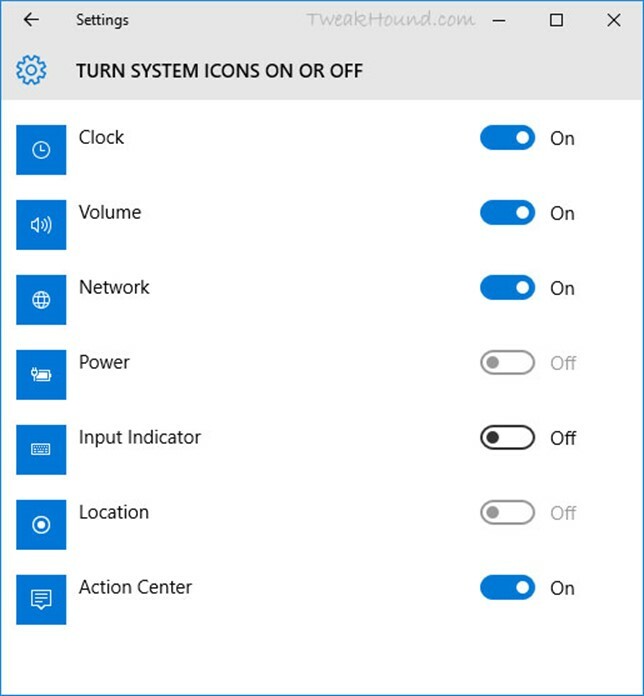 I discuss the Start settings in The Start Menu section of this guide. 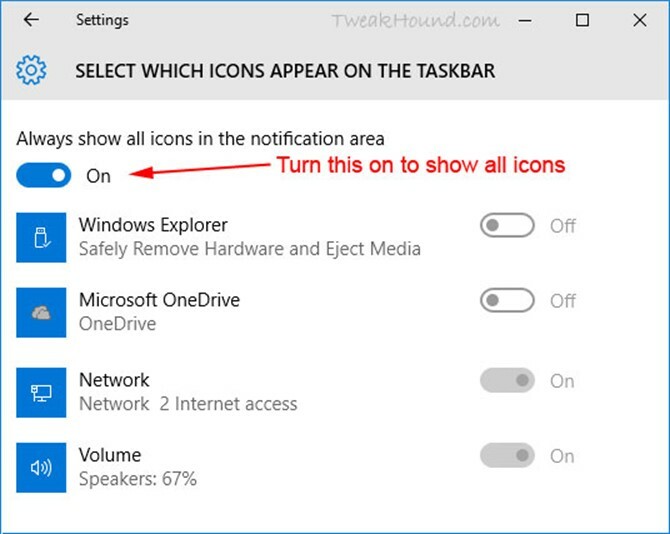 This is the same as right-click on the Taskbar and choose Properties. 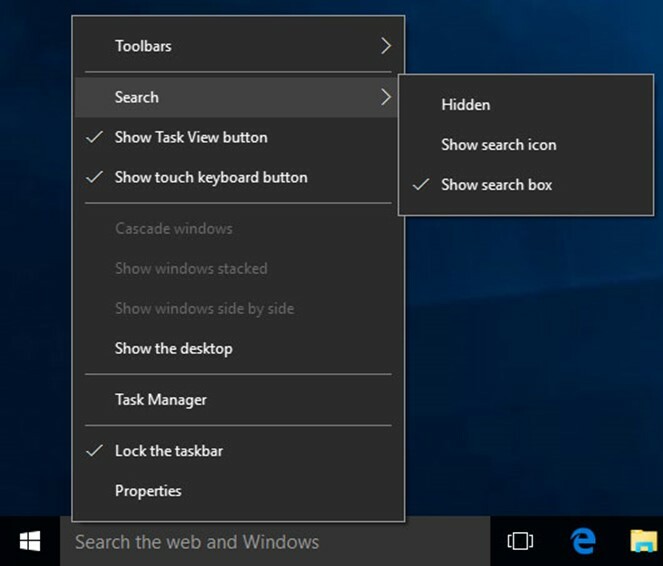 You can see several options here including a way to move the Taskbar. This is the same screen as Notification icon > All settings > System > Notifications. 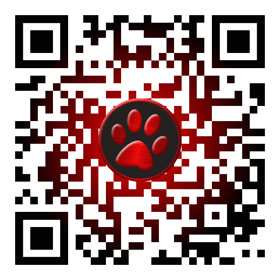 Here you can customize notifications and system icons. What you choose is up to you and your annoyance level. 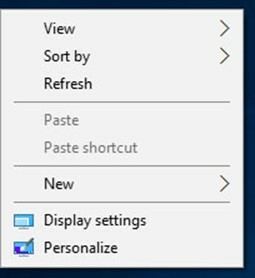 Click Select which icons appear on the taskbar. I like to know everything that is going on with my system show I turn ON Always show all icons in the notification area. Now go back on step and choose Turn system icons on or off. Available options will differ between a laptop and desktop. Configure it to your preference. Via right-clicking on the Taskbar. Show it, hide it, or just show an icon. Right-click on the Taskbar. Uncheck Show Task View button and Show touch keyboard button to get rid of them. I like to create toolbars to make things more organized and easier to get to. This mostly involves apps and folders that I use frequently. Here is mine. To create my custom Toolbars, I first make a folder in my C: drive called menu_stuff. 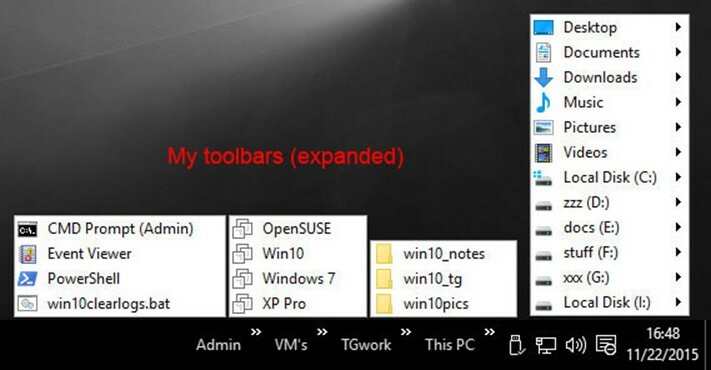 In that folder I create a folder for a specific toolbar(s). And here I drag my links I want in those folders. These can be created by right-click > Send to Desktop (create shortcut) for apps and Control Panel items, and by dragging to the desktop in the case of Administrative tools. I then move these to my folders. You can add a Toolbar for any folder and it will show the contents of that folder. 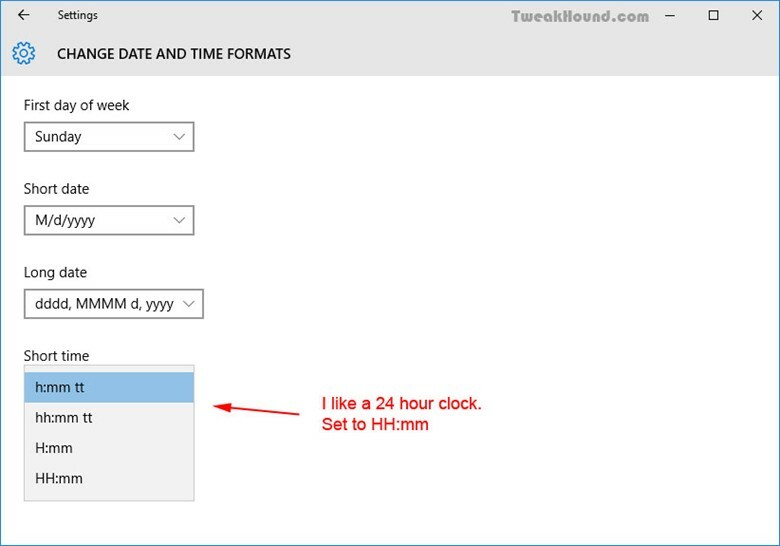 Right-click on the clock > choose Adjust date/time. This is the same as Notification Center / Action Center icon > All settings > Time & language. 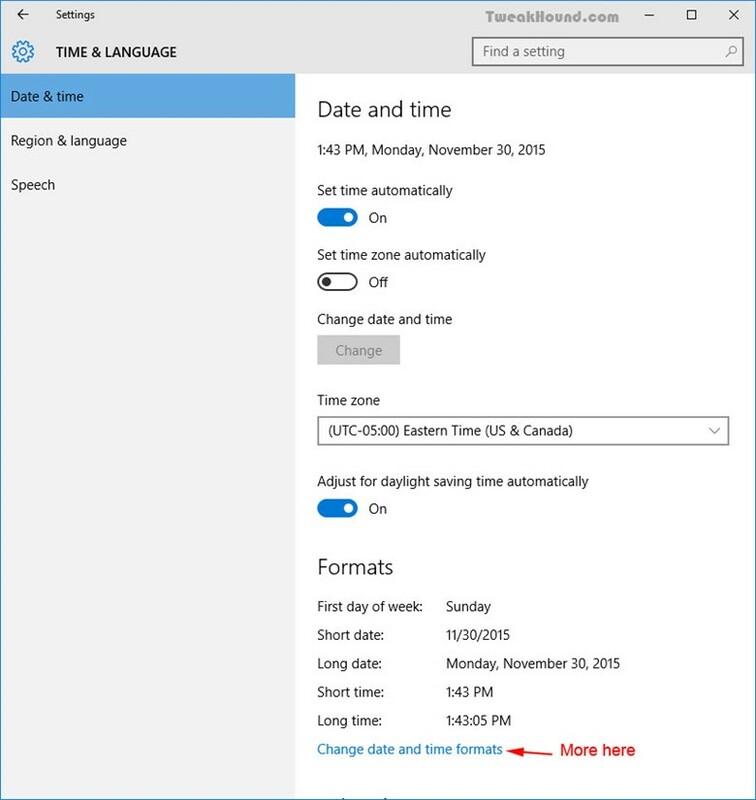 Here you can adjust auto time, time zone, and date and time formats. Click Change date and time formats to do so. I like a 24-hour clock. To change it set Short time to HH:mm. 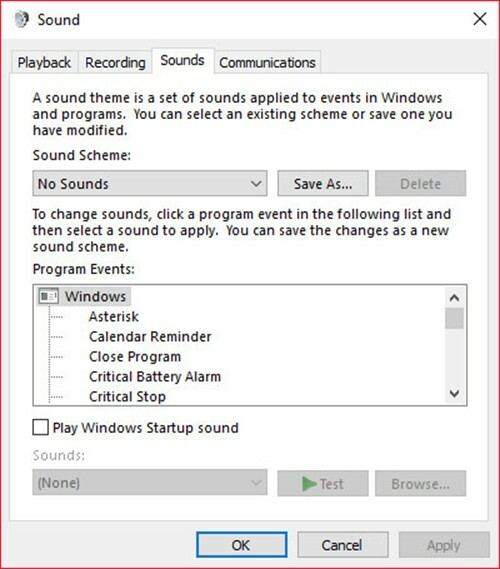 Right-click on the Volume icon in your System Tray and choose Sounds > First save your current scheme, click on the Save As… button, enter a name, I used “1”, and click OK > Next, under Sound Scheme: choose No Sounds and click Apply at the bottom, right.